Our product range includes a wide range of tool holders. 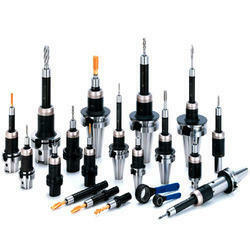 We are instrumental in offering high quality range of Tool Holders to the esteemed customers. Our team of experts understands the exact market demand and makes sure to procure the Tool Holders accordingly. In addition to this, we offer these products to the clients in perfect packaging, which is done by a team of experts. Looking for Tool Holders ?